The Royal Melbourne Golf Club is a private members club. Visitors from Interstate or Overseas are welcome during certain periods of the week. Such visitors will need to be members of a recognised golf club, with a current membership identification card or a letter of introduction from the home club. Contact Planet Golf for assistance with tee times. Australia’s foremost golf club, Royal Melbourne’s origins date back to 1891 when a group of prominent Melbournians formally introduced the Royal and Ancient game to Victoria by establishing the Melbourne Golf Club on leased land near an inner-city railway station. 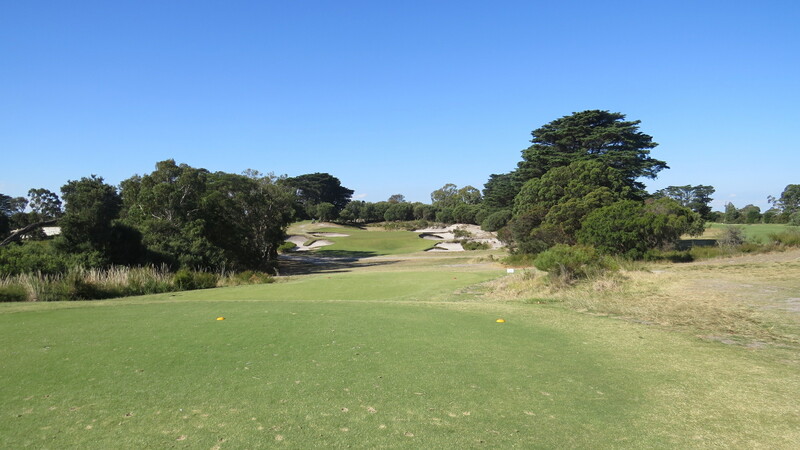 As urban encroachment threatened the existence of their course, the search for a more permanent home brought the club’s council to a racetrack built among the heathland scrub of Sandringham in the city’s south. 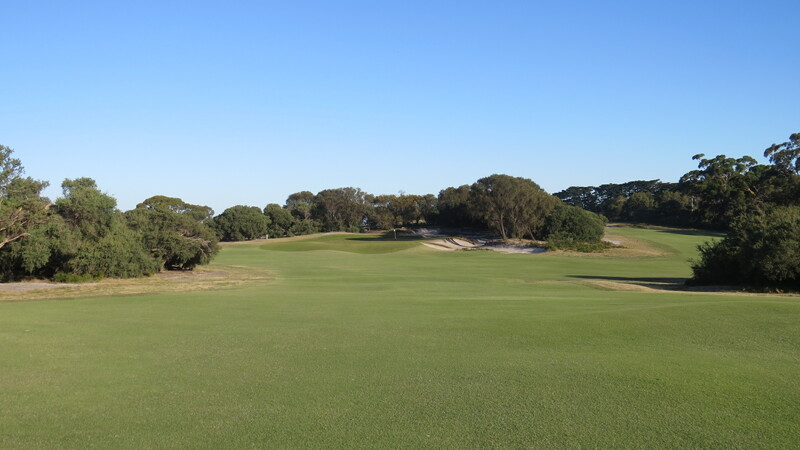 What they uncovered among the undulating sand dunes was the ideal location for their new links, a discovery that inadvertently led to the birth of the Melbourne Sandbelt. The course opened for play in 1901, but by the early 1920’s housing had engulfed the western corner of the property. The club decided to sell this part of the site and move slightly east to their main paddock in Black Rock where an additional 68 acres of land was available. Although only six of the original holes were lost in the relocation, it was decided that the entire course should be upgraded and re-designed. Dr Alister MacKenzie was recommended to the club and accepted their invitation to advise on the new course, starting out in 1926 on his groundbreaking Australasian adventure. MacKenzie’s stay in Black Rock was brief, and while on-site to survey the land he was accompanied by Australian Open champion Alex Russell and head greenkeeper Mick Morcom, who was well read on the subject of golf architecture. MacKenzie was clearly satisfied that both men were capable of interpreting his ideas and philosophies and when he departed he left the construction of his West Course under their supervision. He later described Morcom as the best greenkeeper he had ever come across and appointed Russell as his Australian design partner. Much has been written on the qualities of the West Course, but put simply it is the combination of great land, great design and great construction that makes it so special. The timeless strategy of the MacKenzie design is as profound as it is simplistic and based around wide fairways that are playable to the average golfer yet demand those more skilled drive the ball into dangerous corners to get close to the flags. Full of dramatic sandhills and bold contours, the site itself remains one of the finest in golf, its fertile soil and naturally rugged appearance was truly a gift from the golfing gods. Visually, Morcom’s bunkering is spectacular as are his greens, which for decades have consistently provided the purest putting surfaces in the world. Large and beautifully contoured, they are built to accommodate approaches from a number of angles with each progressively more demanding the further the tee shot strays from the perfect line. 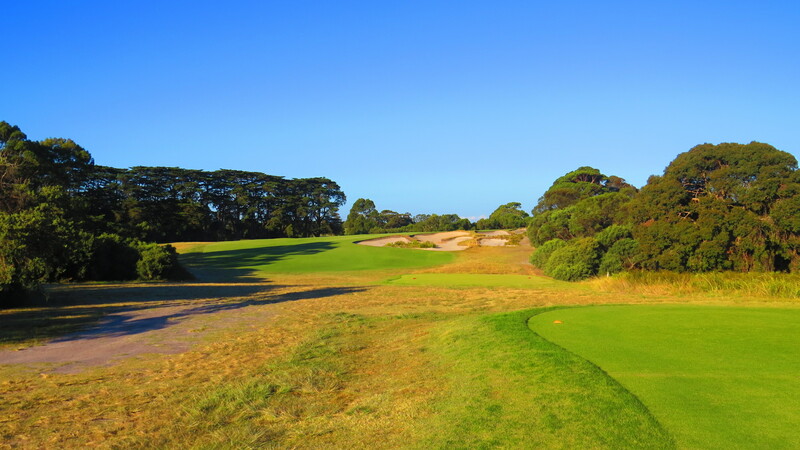 Picking out West Course highlights is as difficult as mounting a compelling argument against its long-held position atop Australian golf ranking lists. Individually there are at least ten outstanding holes, including six that are world-class such as the all-carry par three 5th, with its awesome bunkering and slippery raised green pressed against a magnificent scrub covered dune. The 6th is also remarkable and has become a textbook MacKenzie par four, its grand sweeping fairway, tantalising corner bunkers and superb green setting as manageable for the first-timer as they are challenging to the professional. There are plenty of other standouts including the brilliant three-shot 4th hole, the driveable par four 10th, with its teasing target perched beyond the largest and deepest sand hazard in the country, and the breathtaking greenside bunkering at the 17th. The final hole is also noteworthy with a thrilling tee shot played across a steep sandy ridge to a blind dipping fairway. Both tee and green on the 18th have been shifted since MacKenzie departed but, like the majority of alterations made through the years, the changes have been minor. The obvious exception is the 7th hole, built by Ivo Whitton in the late 1930’s to allow extra room for the first tee on the East Course. The green on the 12th was also shifted significantly to the left and slightly back to create a wonderful kink at the end of its fairway. Perhaps the most interesting change, however, was made to the 15th hole long after MacKenzie had discovered the penal artificial mounding of the existing fairway and declared ‘we’ll leave it as is, to show future generations how silly golf course architecture used to be’. The fact that he left this deliberate blemish to underline the inadequacies of penal design, shows he was probably a man who did not believe in the notion of the perfect golf course. Although his point was well made, years later the club improved the hole by removing the central section of these mounds. It seems a great shame that MacKenzie never saw the finished product at Royal Melbourne because, despite leaving Australia’s shores to create countless classics across the globe, there is little doubt the West Course retains the truest interpretation of his design philosophies. 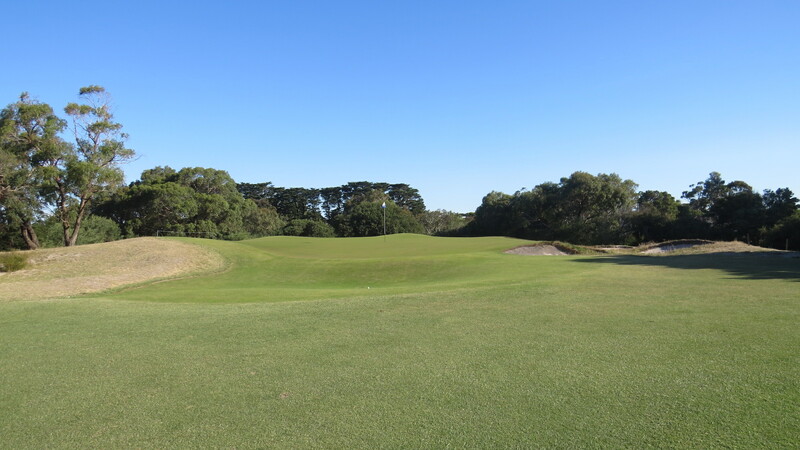 Indeed it is certainly hard to imagine that the game of golf gets any better than Royal Melbourne. From purist to weekend hacker and professional, it remains the absolute embodiment of golfing perfection, if indeed such a thing exists. 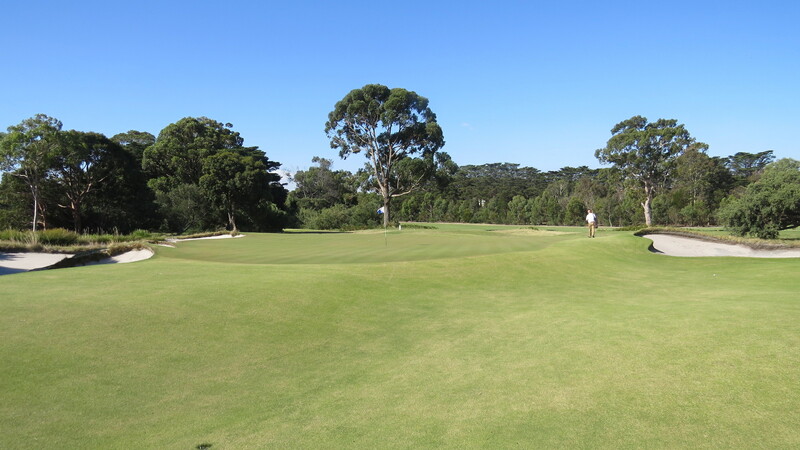 Play the legendary courses of the Melbourne Sandbelt, or the premier private clubs in Sydney and Adelaide.